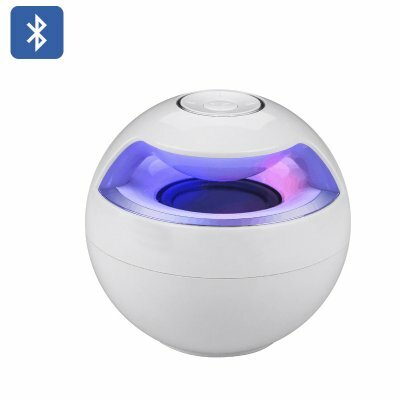 This small and seemingly simple Bluetooth speaker is actually a powerful entertainment machine in its own right. 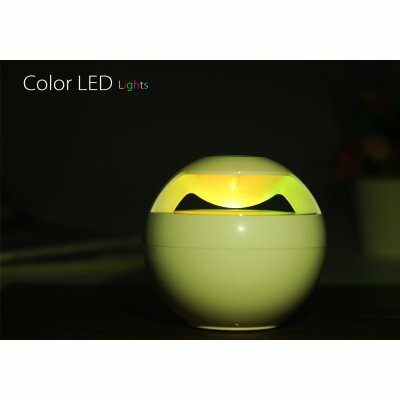 With it, in addition to playing your tunes in high-end stereo quality, you will be able to enjoy a mini LED light show for a complete audio-visual experience. 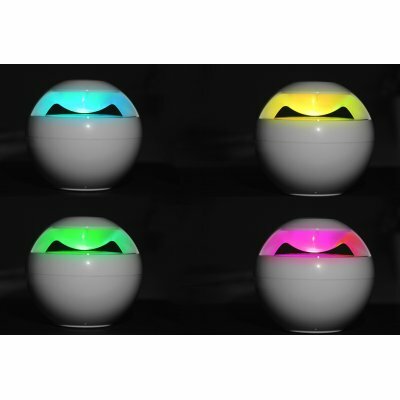 Whether you use “Snowball” at a party, home or office, you are sure to be impressed with its interesting design, making the speaker a cool element of your interior décor. 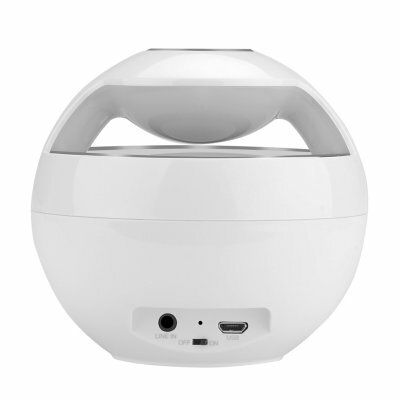 You can use the speaker with your smartphone or tablet and use Bluetooth V2.1+EDR to stream your audio content. Alternatively, you can also hook it up to your computer (or any other device) through the AUX input. It’s not all about fun. 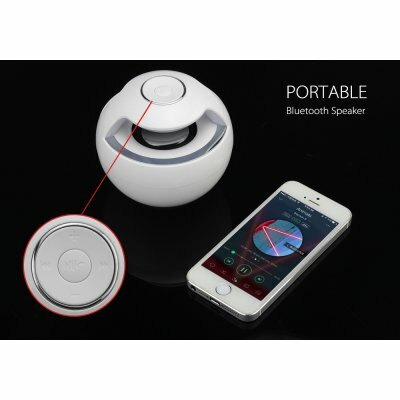 In addition to playing cool tunes, you can use the Bluetooth speaker for handsfree calls, and conveniently hold conversations without reaching for your smartphone and stopping what you are doing. Thanks to the built-in mic, you can also use the speaker for two-way communication when chatting on Skype or even holding an online conference. 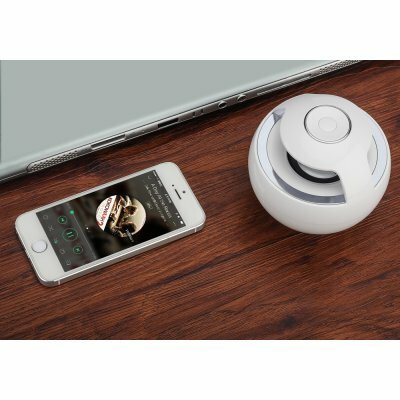 With the 500mAh battery, you will have up to 5 hours of music playing time and will be able to easily recharge the device via USB. 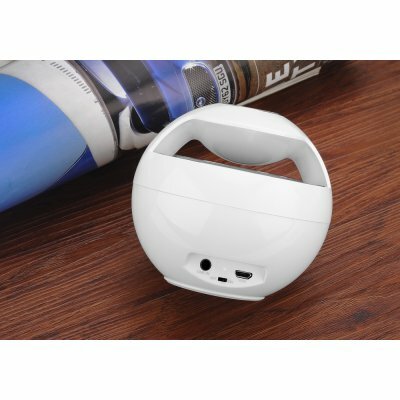 The Portable Bluetooth Speaker “Snowball” comes with 12 months warranty. 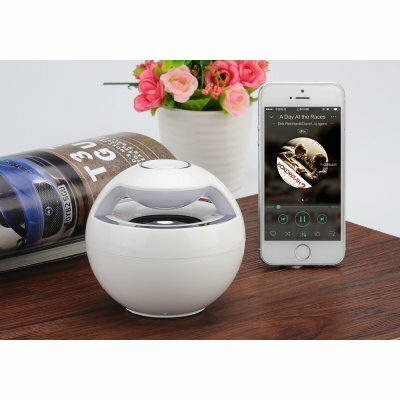 Brought to you by the leader in electronic devices as well as wholesale Bluetooth speakers, Chinavasion..